The Bended Elbow offers 3 nights of regular popular specials. 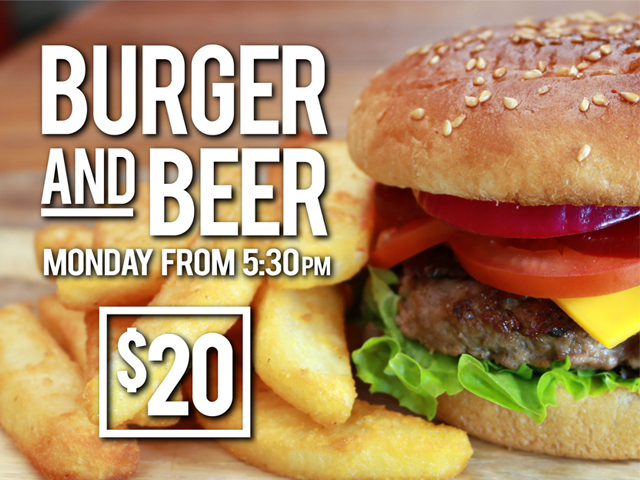 Monday $20 Burger & Beer Night. 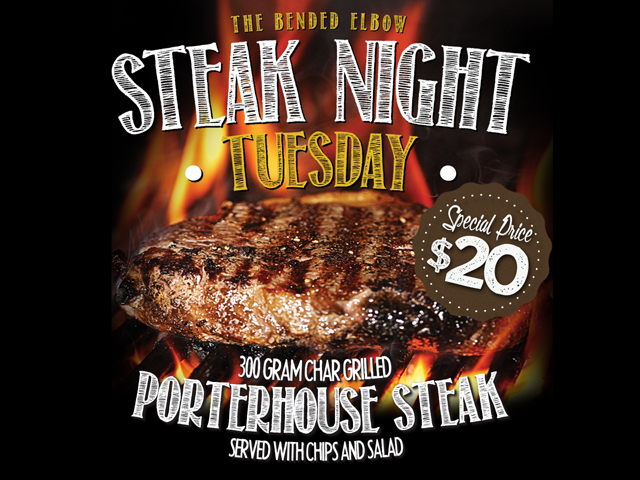 Tuesday $20 Steak Night. 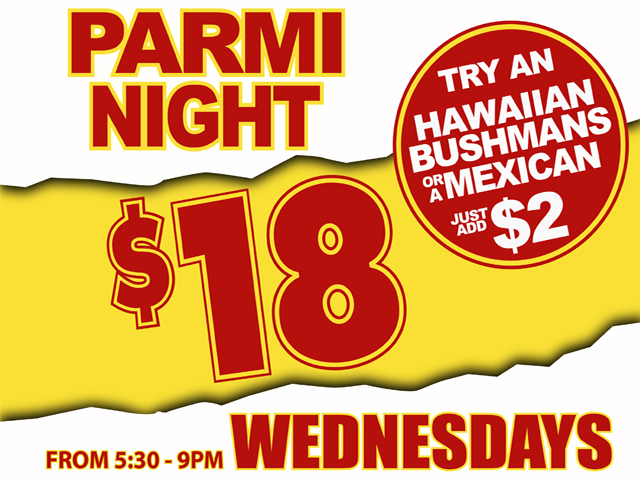 Wednesday $18 Parmi Night. These specials are available for dinner from 5:30 until 9pm.